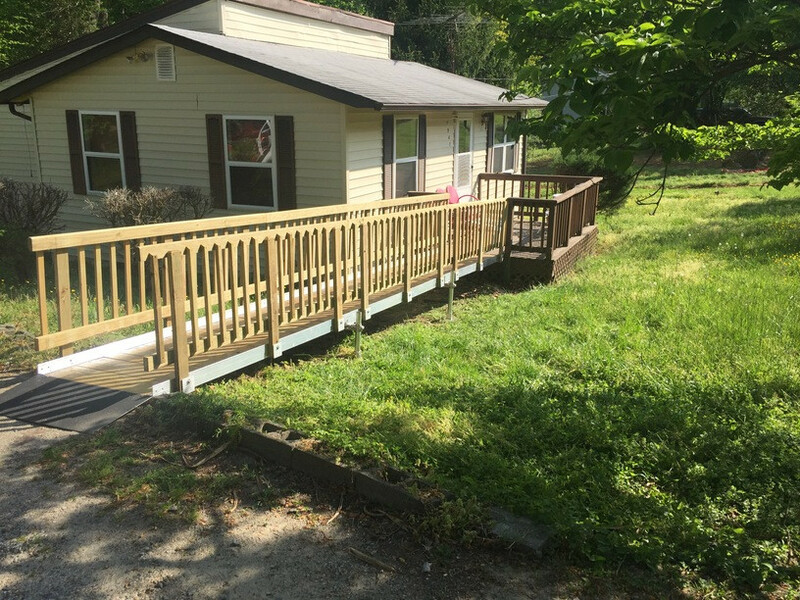 Richmond Ramps sells and installs wheelchair ramps for Richmond homes and commercial businesses. 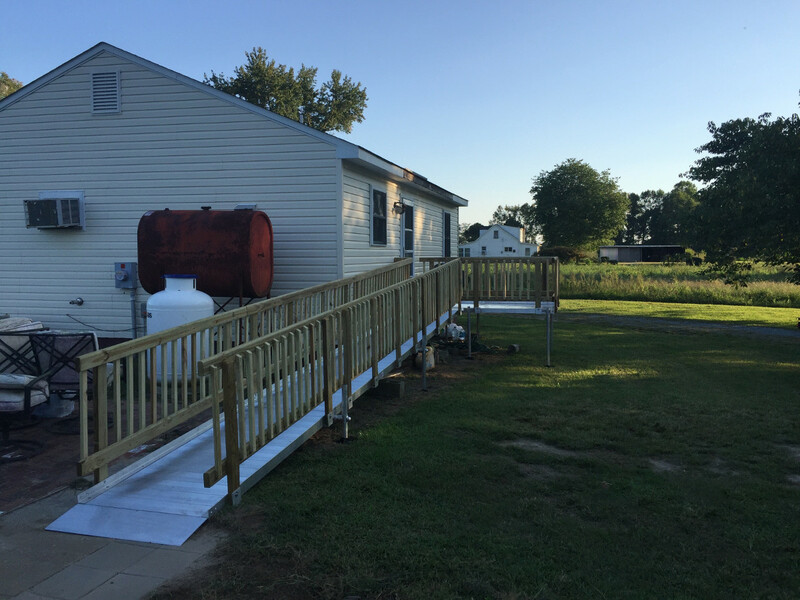 Every handicap ramp we install is 100% ADA Compliant and comes with a 10-year warranty. 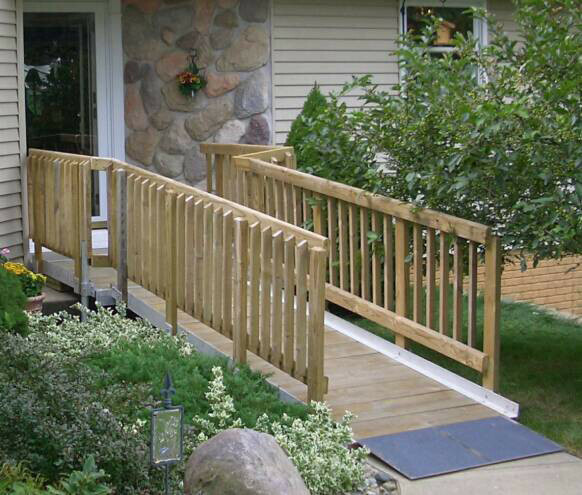 We offer great options including wooden wheelchair ramps, aluminum ramps, concrete ramps, and decorative ramps. 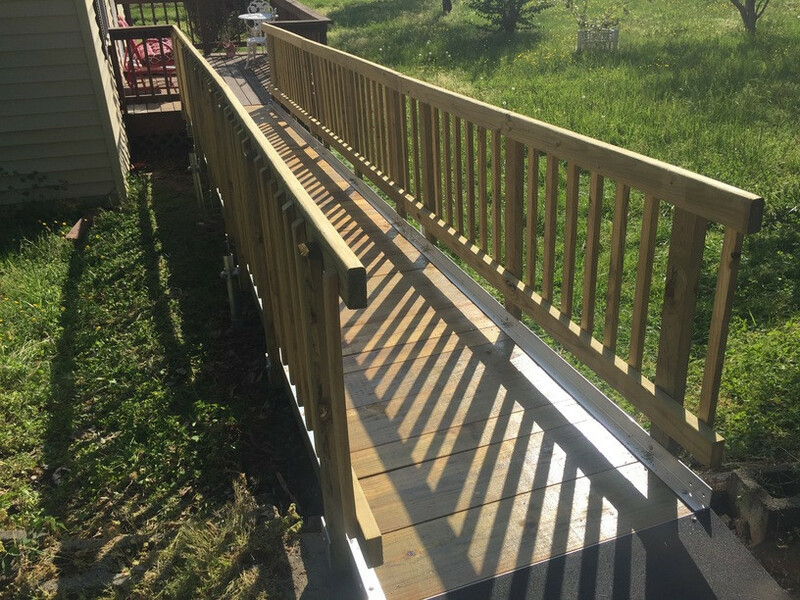 We can also custom size and install our ramps to suit your needs. 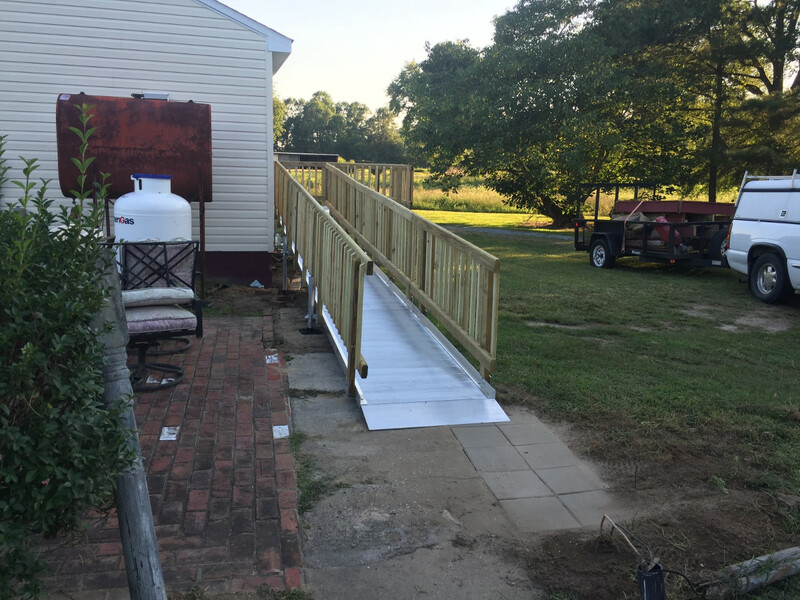 All the ramps we install in Richmond are movable. 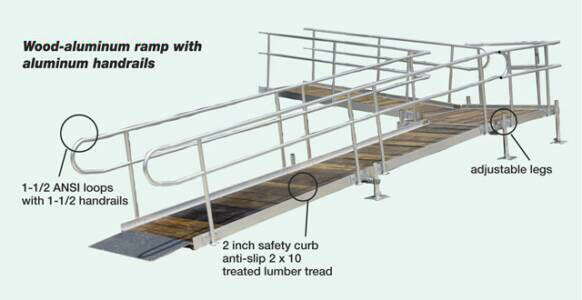 There are no permits required because they are only needed for permanent ramps. This benefits you with faster delivery, customization options, flexibility in the design, and quicker installation. 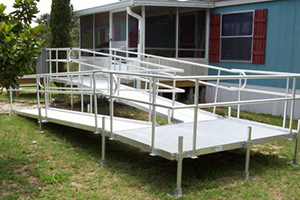 Choosing a portable ramp is a huge advantage because you can take it with you when moving or have it moved to a different door. 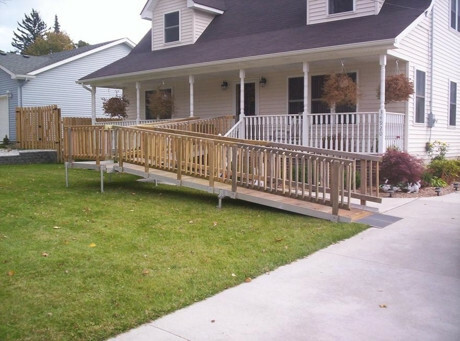 We can easily relocate your ramp which can't happen with a permanent ramp installation. 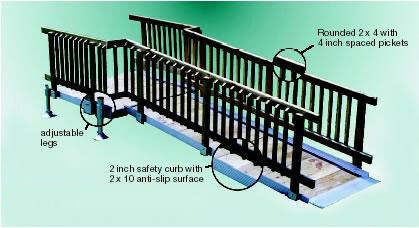 Richmond Ramps installs aluminum ramps, wooden ramps, and concrete ramps for homes and businesses. 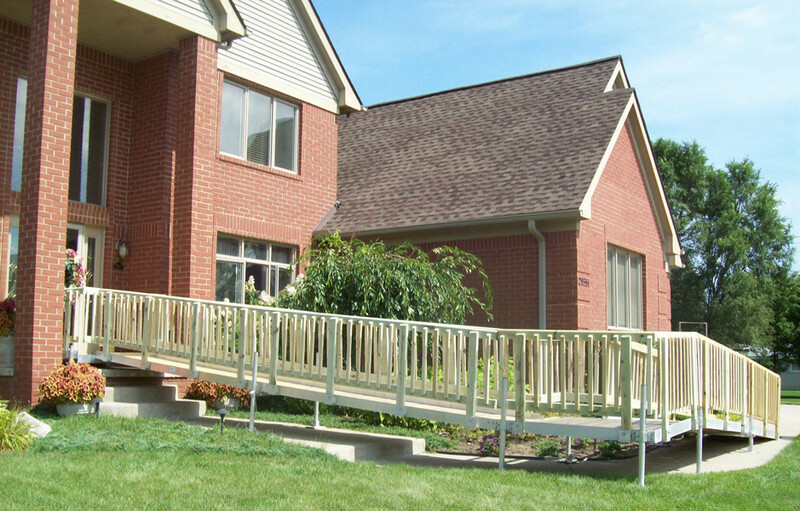 All of our installations meet or exceed the requirements for the Americans with Disabilities Act. 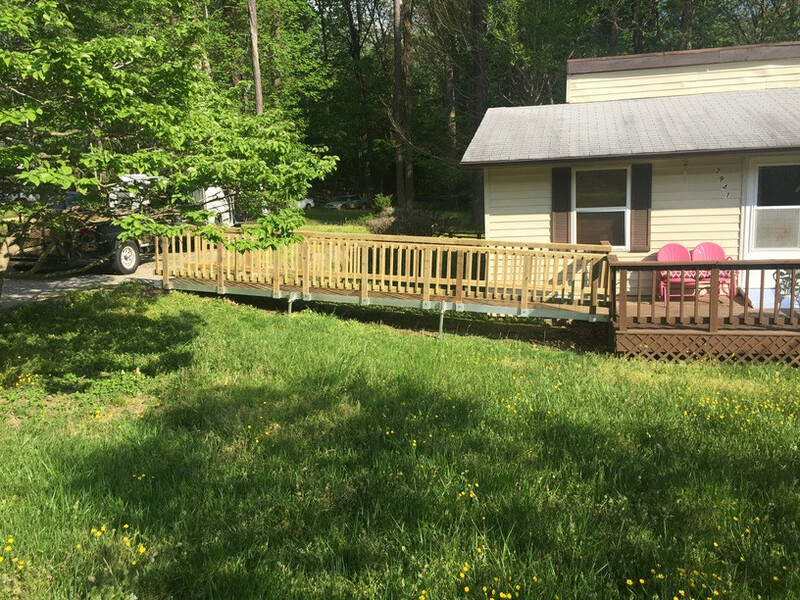 Our expert installers can typically install your ramp in a few hours, and are capable of making basic modifications to your home if needed, such as the removal of a section of railing from a porch. Our installers travel in a 4 hour radius of Richmond, and serve Virginia, Maryland, Washington D.C., and North Carolina. 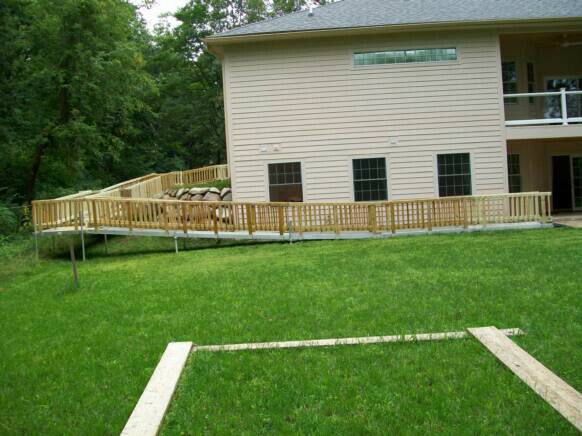 Call for your on-site evaluation and estimate today. 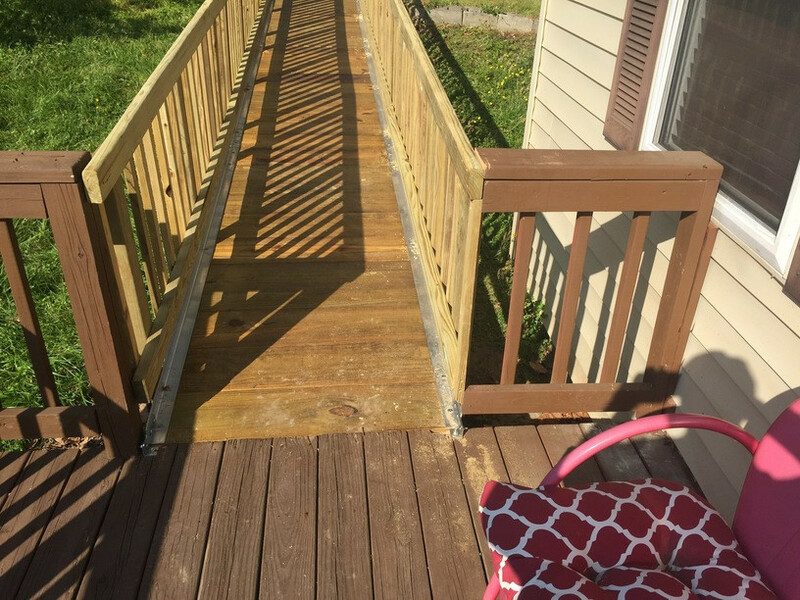 Which Wheelchair Ramp Is Right? 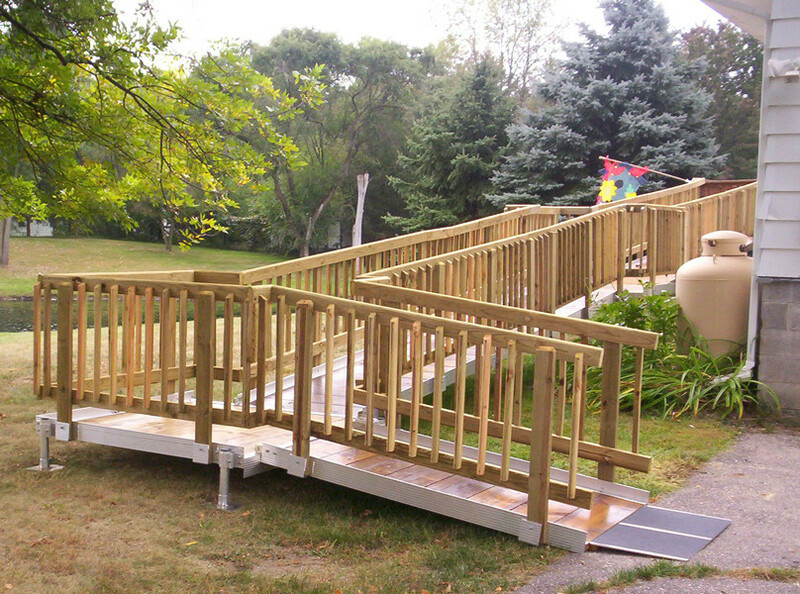 We have some great handicap ramp options for you to choose from. 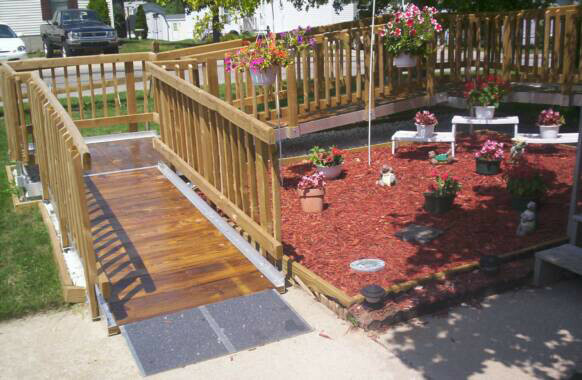 A wheelchair ramp doesn't have to be ugly and obtrusive. 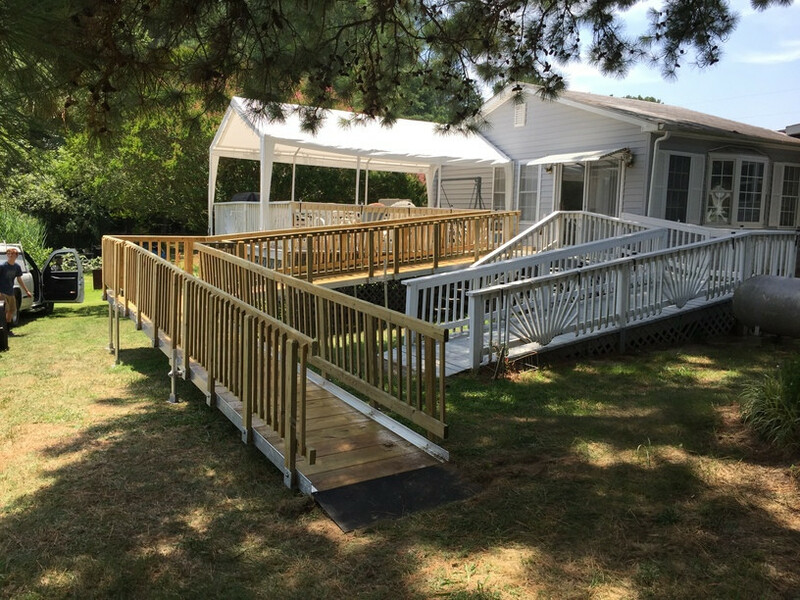 Our Richmond accessibility ramps experts can help you choose the right type to go with the style of your home or commercial building. 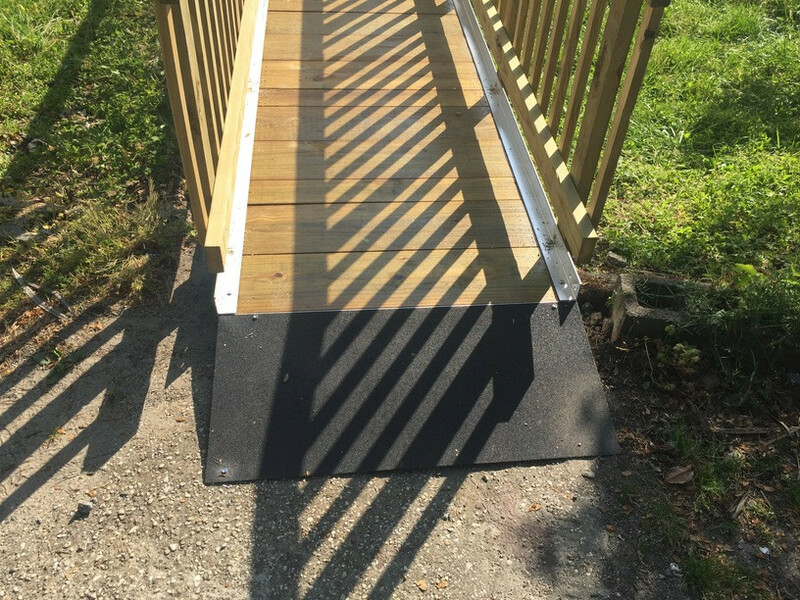 Why Choose Richmond Ramps For Your Ramp Installation? 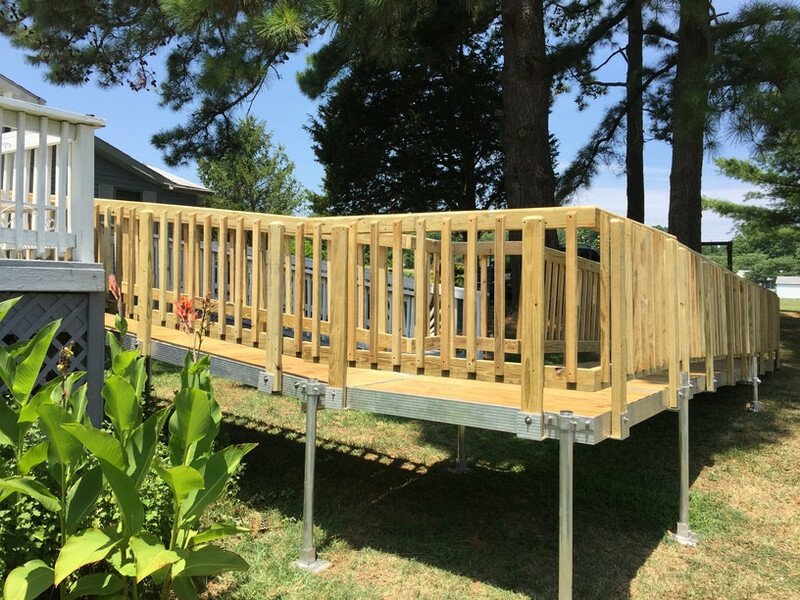 You'll love how quick and easy it is to have one of our movable ramps installed. 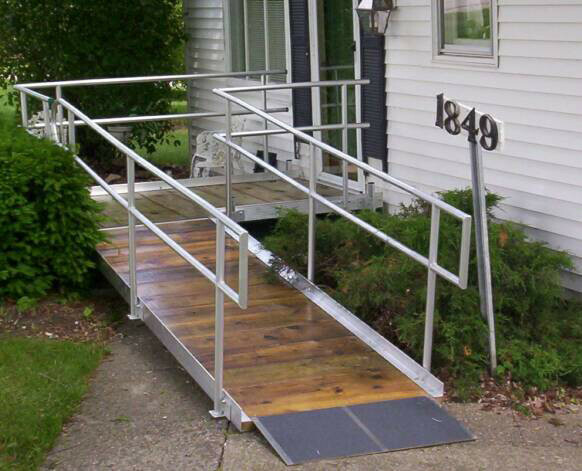 You'll love that they are all ADA compliant too. And you'll appreciate the options in style, size, and materials we offer. 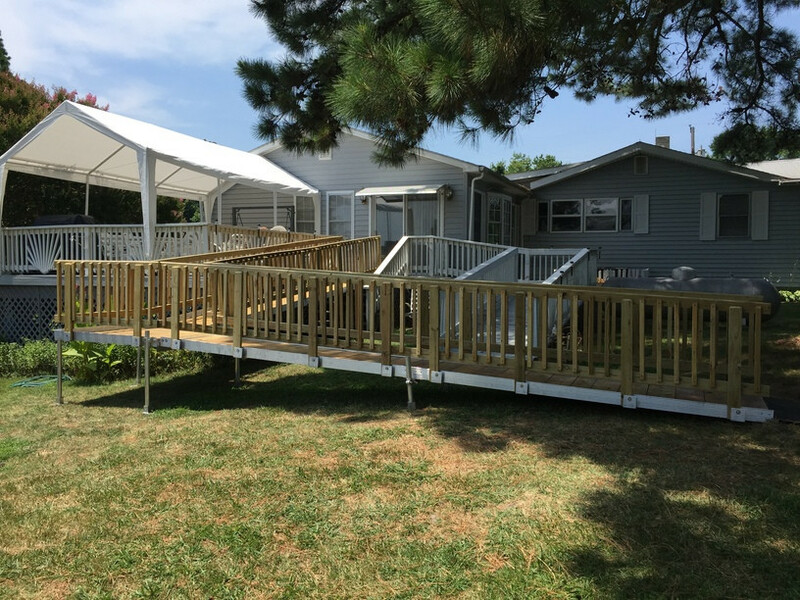 One of the reasons you'll want to choose us is our on-site evaluation and estimate where we come to you and assess the area of installation and answer all your questions.